Professor Ladusaw has served as interim dean since September 1, 2010. His permanent appointment began July 1, 2011. As dean, Ladusaw oversees the division's seven academic departments, the Language Program, and the Writing Program, as well as the Institute for Humanities Research, the Dickens Project, the Satyajit Ray Film and Study Collection, and the Linguistics Research Center. 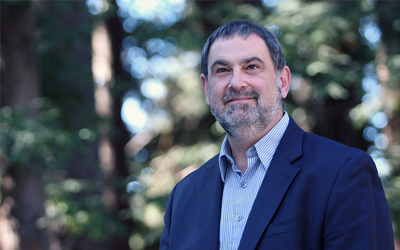 Ladusaw joined the faculty as an assistant professor in 1984. Prior to being named interim dean, he served since 2004 as vice provost and dean of undergraduate education (VPDUE). He also served as chair of the Linguistics Department from 1997-99 and was provost of Cowell College from 1997-2003.